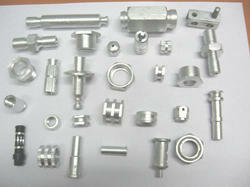 We produce the Aluminium Turned Parts as per customers drawing and specification in various aluminium grader. We are recognized as an affluent entity, involved in offering a wide assortment of Aluminum Component. 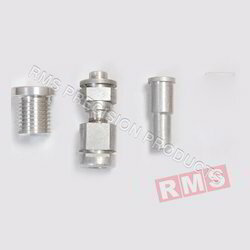 These components are used in the automobile, electrical, electronics, telecom and plastic industries. Before the last dispatch, a pool of quality controllers strictly inspects these products against diverse parameters of quality. Owing to their high corrosion resistance and optimum finish, these products are widely demanded in the market. Our valued customers can purchase from us an extensive assortment of Aluminum Turned Components. These products are manufactured by taking optimum quality materials, according to the industry accepted models. 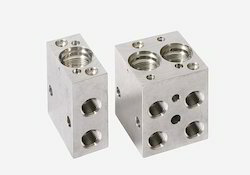 In addition to this, these components are highly demanded across the industry owing to their high strength and accurate size. 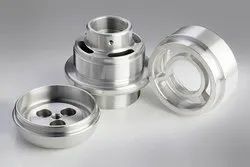 We are manufacturing Aluminium Turned parts using high quality material. 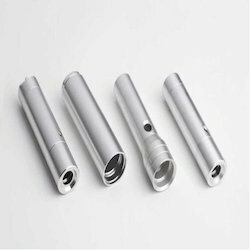 We can supply Aluminium machined components as per customers drawing and specification.